Bailan Beach sits just over the hill from Lonely Beach but it’s another world, a quieter, more local side to Koh Chang, with plenty of mid range accommodation in bungalows and small resorts. Despite having no real beach except a self-made one in front of the The Mercure Hideaway at the southern end and a tiny stretch at the northern end, the area still ticks along rather nicely. In its own understated way, it serves as both a bolthole from Lonely Beach but also as an area on the island, which offers something a bit different from the normal beach holiday. The Mercure Hideaway, run by the Accor European chain, is the only hotel in Bailan Beach. Rated at 3 to 4 stars, its 96 rooms and handful of pool villas represent the most upmarket choice on the beach, with prices starting at 2,500bt and going up to 5,500bt. 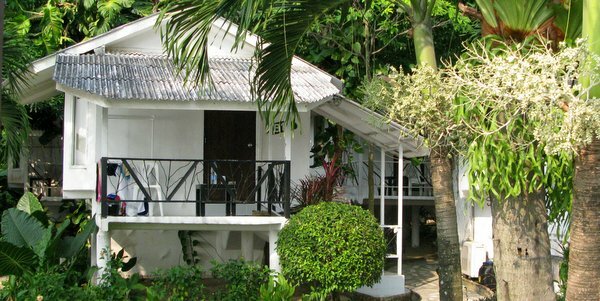 At the opposite end, Bailan Beach Resort continues to grow and grow and this too makes for one of Koh Chang’s most dependable resorts, popular with Europeans attracted by its good value rooms in the 2,000bt to 3,000bt bracket. Bailan Beach Resort shares the beach with the excellent The Mangrove, a fascinatingly under the radar spot, with chic thatch bungalows and partially open air cold water bathrooms. Their 11 rooms are in the 1,500bt price bracket. 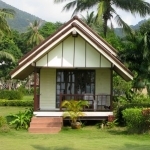 Various other mid-range small bungalow resorts are found in this immediate vicinity from Kwaimarpar Orchid Resort on the ocean side above Bailan Beach Resort to the French run St Tropez, the new Green Resort and Baan Sanook opposite. 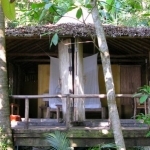 Kamrai Resort, offers something different as some of their accommodation comes with small kitchen areas. Even throwing in the small swimming pools, there’s nothing particularly fancy or designer about any of them, but you will get good value bungalows, 1,000bt to 2,500bt a night, in a quiet garden setting. Also worth a mention, the octagonal bungalows of Bailan Bay Resort cling to the hillside just before you enter the village, still quietly popular after all these years, similar rates. New to the centre of the village, Harley Moon Hideaway, with 2,500bt rooms and a unique red swimming pool, has quickly established itself with a very positive reputation. At the start of the beach at the southern end, The White House is a compact resort, with 2,000bt villas spaced around the swimming pool looking out over the sea. It does have additional cheaper rooms over its car-park at the back. 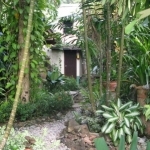 Bordering The White House, Lucky Gecko Garden sits on the on the corner, its 6 rooms at 1,800bt a night, while along the small street that leads to it from The Happy Turtle, there’s now a host of bungalows and small houses to rent, worth a look if you are thinking of staying a few months. Finally, Rock Inn has a selection of rooms up to 1,200bt per night on the hill overlooking the entrance to Mercure Hideaway, while Lisca Glamping Akosetto, on the beach at the far southern end, offers 3 or 4 deluxe tents at 1,900bt a night, restaurant on site. 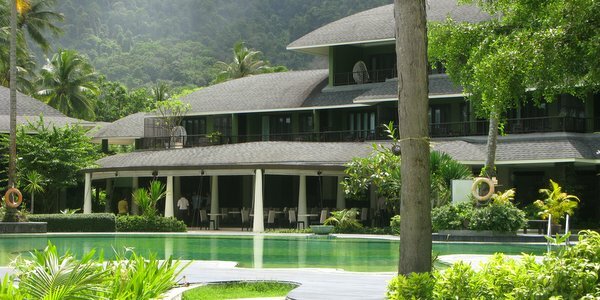 Large 96 room resort with rooms and villas, some with plunge pools. Swimming pool, jacuzzi, spa, private beach. Swimming possible if tide is in in the lagoon area. Has become much more popular in the last couple of years since Accor took over. 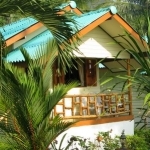 At the northern end, 15 or so hippy chic large wooden fan bungalows with open bathrooms and terraces, dotted amongst the trees and looking out to sea. Stylish restaurant with sun decking and small private beach. Laid back and peaceful, a terrific alternative place to stay. 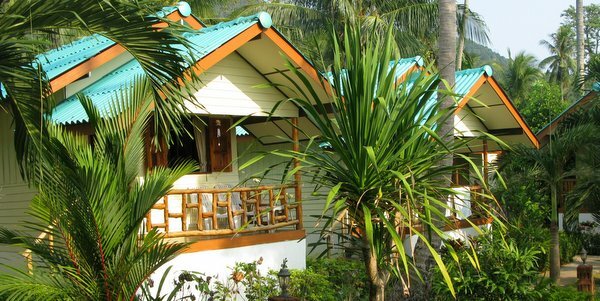 Large resort at the northern end with superior, family, garden and seaview bungalows or rooms. 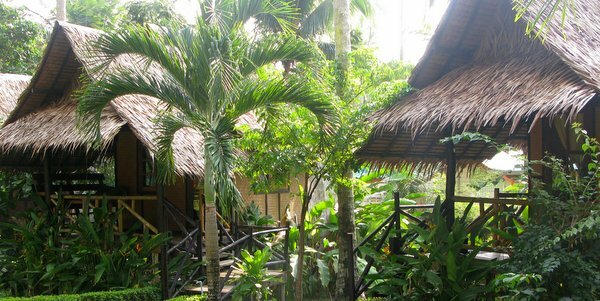 Restaurant, swimming pool and private beach area, just a little along from The Mangrove. Peaceful spot, though its bar is an anomaly. 8 large well designed and appointed a/c bungalows around a nicely kept garden with a decent sized swimming pool. Restaurant for breakfast and western food. A few minutes walk to the beach at the southern end. Jeep Tours. Friendly spot. At the very start of the village, concrete a/c or wooden fan bungalows built up the hillside overlooking the small headland. Sundown Terrace restaurant and home to Mr Khai boat trips and fishing excursions. At the far end of the village on the hillside, small German owned guesthouse, with a selection of cheaper fan rooms or some a/c units and larger family bungalows. 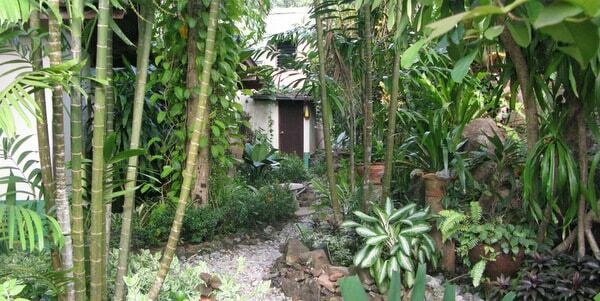 Restaurant, bar and terrace, all set in delightful tropical gardens. 5 minutes walk to the beach in front of Mercure Hideaway. 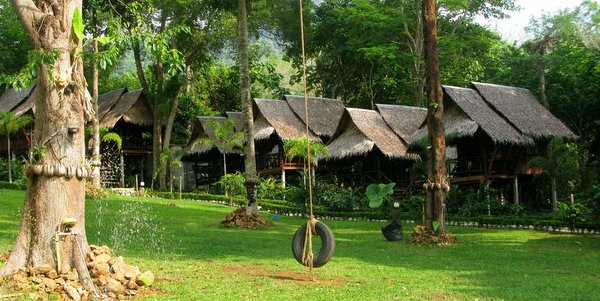 Tarzan Island Bungalows (simple fan huts and larger bungalows) and Bailan View (wooden affairs up on stilts) go from 350bt a night to 850bt a night. 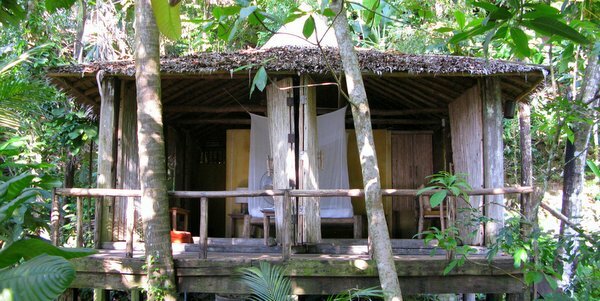 Jungle Garden (wooden thatch style bungalows) are from 600bt to 1,000bt. Perhaps the pick of the bunch is at the very dependable Lazy Republique in and around 800bt to 1,000bt and Elephant Bay Resort, colourfully painted little beach huts with a swimming pool, from 800bt at 1,900bt a night. At the northern end on the other side of the road, tiny minimalist style resort with 8 a/c rooms in a garden setting, restaurant open for breakfast. Sometimes open roof terrace. Recently changed hands. WiFi. Funky beach hut style fan rooms or a/c bungalows, with a swimming pool, restaurant, bar and pool table. A friendly, relaxed atmosphere. Transport to the beaches. In the middle of the village by the sea, just along from Green Cottage. 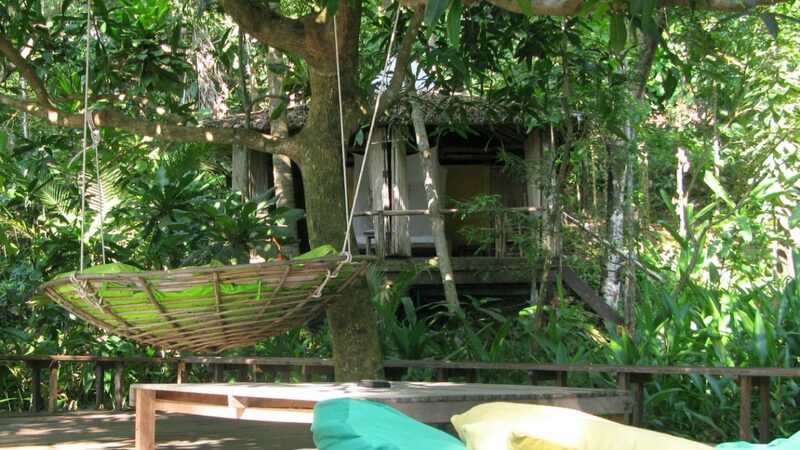 By the bridge, 11 wooden thatch bungalows, fan and a/c with well designed ensuite bathrooms, ideal for backpackers and travellers. Small bar area, no restaurant. WiFi. 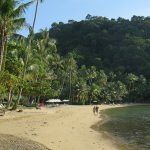 Bailan Beach has too many options to list in full, so here is a selection only to go with our recommendations above. Above Bailan Beach Resort at the northern end with a/c bungalows, some with sea view, in a pretty tropical garden. Restaurant, small swimming pool and massage. 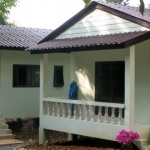 5 a/c bungalows in small area at the northern end with massage shop, no restaurant tour. Same owners as Green Cottage. WiFi. Clean and practical. At the northern end, Half a dozen or so a/c ensuite bungalows, laid out on the hillside in a landscaped garden, with an internet and tour shop and bar area in the building in front. Next door to Sanook, around 40 fan or a/c bungalows of different sizes up the hillside in pretty landscaped gardens, some very cheap and best ignored, better ones built on stilts. Restaurant with nightly bbq and house band. 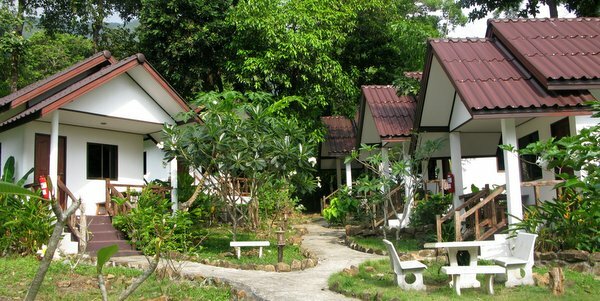 Selection of large bungalows, almost mini-houses with kitchen and lounge, spaced out under the trees at the back and two similar rooms in a building at the front. Swimming pool. No restaurant. Opposite Tarzan at this northern end. Good value fan and a/c bungalows high up on stilts, in a well tended, secluded garden on the little street that runs down to Green Cottage and the sea. No restaurant but coffee and drinks available. Selection of garden bungalows, fan or a/c, arranged in rows with a swimming pool. Restaurant. A few minutes walk along the rocks to the beach at the southern end. Motobikes for rental. Cheaper a/c rooms off the car park or whitewashed bungalows bunched around the swimming pool. Restaurant, bar and sunbathing spot. Just two minutes to the beach in front of The Mercure here at the southern end. 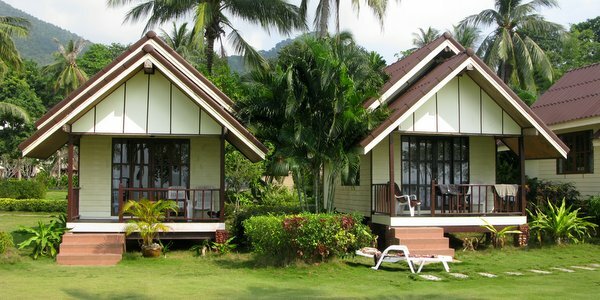 Austrian owned resort of 8 a/c bungalows, small or large, located off the small street down to The White House. 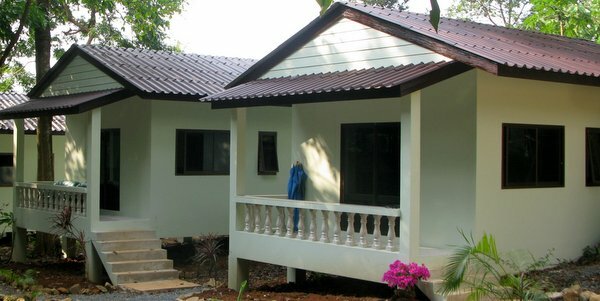 Restaurant on site, daily transfer to Bang Bao Beach, daily housekeeping and breakfast.